My wife and I spent some time in Austria and the Czech Republic last summer. It was a delightful vacation, with great food and art and fabulous scenery. Still, as Jews, we both had the odd sensation (in Austria) of seeing those blond, Aryan faces and hearing German spoken all day. Although we knew very well that it was entirely our own projection – everyone we encountered was quite friendly – still, it felt a bit eerie. We also passed the death camp of Mathausen and visited the concentration camp / “model ghetto” of Terezin. 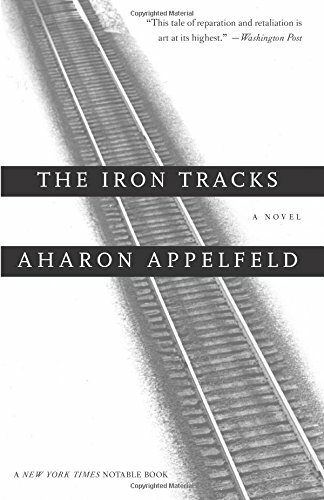 Months later, it was the scenery and the food that lingered in my mind, that is, until I picked up a short, sparse, partially autobiographical and thoroughly disturbing novel by the Israeli Aharon Appelfeld titled The Iron Tracks. The plot is quite simple. A Holocaust survivor named Erwin Siegelbaum has been riding the trains around Austria continually for forty years. ”The trains make me free,” he tells us ironically. He rides them because he has two goals. The first is to make his living by searching the markets of tiny villages, identifying and buying old books, sacred wine goblets and other antique Judaica, then selling them to collectors who send them to Israel for remembrance of the culture that is no more in Eastern Europe. It’s a living, but it’s also a mitzvah, an attempt to heal the world (Tikkun Olam in Hebrew). The second is to find and execute Nachtigel, the now aged Nazi death camp commander who had murdered Siegelbaum’s parents, both secular Jews and devoted communists. All well and good, for a plot. Will he find the man? Will he actually kill him? How will the act affect the life of this wandering Jew? Spoiler: the ending proves to be (deliberately) unsatisfying. But it forces us to confront many conflicting values and presumptions. Don’t we all want to repair the world? Didn’t his parents, who had clearly transferred their spiritual longings into a secular crusade, want to do that? How much do we value revenge, forgiveness – and, as Americans – extreme violence? For me, the story gets more complicated as Siegelbaum, long after the war, experiences the latent anti-Semitism of people he otherwise has respect, even affection, for. And, riding the trains and eating in rural taverns, he meets several old men who brag about their youthful service in the German army – “service” because that’s exactly how they remember those years. Despite the defeat and all the deaths and post-war suffering, , they unanimously express pride in the fact that they had “served” in the east, and happily, personally participated in murdering Jews, lots of them. “What made him (Nachtigel) a professional?” I asked. “His faith that the extermination of the Jews would bring relief to the world,” he answered, short and swift. I have been writing about “othering” for years; it’s one of my primary themes. You can read several of my blogs on the topic here, here, here, here, and here. But reading The Iron Tracks, I understood othering at a different level. We don’t choose to “other” other people or groups. Othering chooses us. The need to do so seems to enter us quite early on, as parents and society gradually persuade us to identify as part of the larger tribe – to know ourselves, as the ancient Greeks implied – only as we gain the absolute knowledge that we are not one of them, the others. In this modern world we are established in the first knowledge only because of the second. 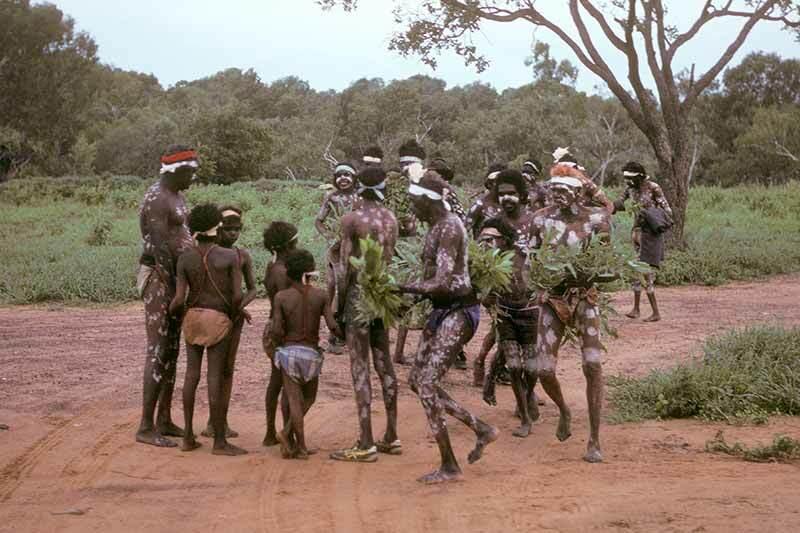 One of the objectives of indigenous initiation rites, curiously, is to destroy that sense of identity and replace it with another that is more authentic and much more useful to the community. For boys, this typically happens at puberty, when the new identity brings the knowledge that one is now an adult male, with all the freedoms and responsibilities this entails. And the lack of those containers has been the source of our greatest problems for hundreds of years, since long before modernity. Suffering a legacy of a demythologized world, we can trace our dilemma at least as far back as the ancient Hebrews, who knew who they were because they were not gentiles, and vice versa. 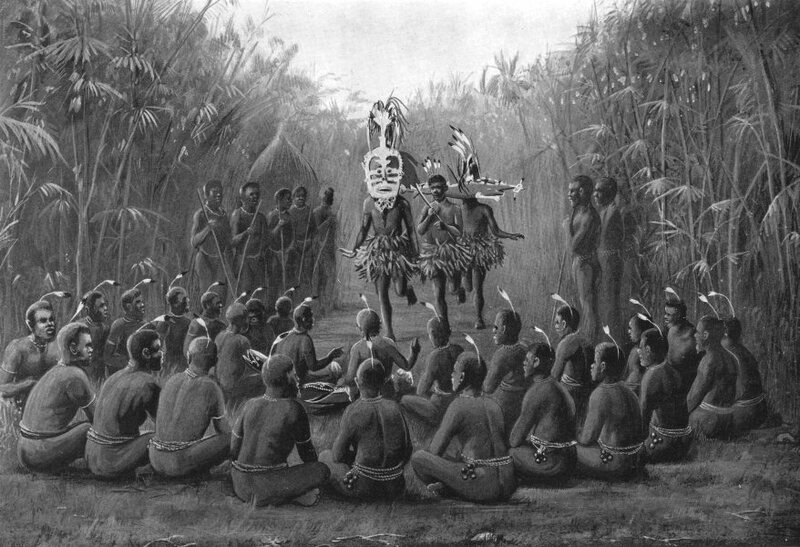 The loss of initiation rites – the symbolic killing of the children – produced our most fundamental mythic narrative, the literal sacrifice of the children, which has manifested in every war throughout history. Both Abraham and Isaac knew their place in the cosmos because they were willing to play their parts in Yahweh’s sacrifice. I wrote about one of many twentieth century manifestations of this myth here. In the late nineteenth century, ideology – belief in a grand, overreaching cause – shifted from its religious basis to a secular one, and nationalism became the new source of both othering and the willingness to murder, to “serve” something greater than one’s self. Others chose a different thinking that specifically countered nationalism with a belief in international solidarity, but it was still an ideology. And as it solidified, it became a faith in universal progress, but a faith nevertheless. This brings us back to our story. In the twentieth century, countless Eastern European Jews exchanged their religious identity with either Zionism or communism. And a similar loss of religion among German Christians led to faith in a Fuhrer and his crusade to rid the world of those who make it impure. It was a faith with scientific trimmings: for twenty years, Germans continually heard that Jews were an infection and the ideology of National Socialism was the antibiotic necessary to heal the great illness, to make Germany pure again (MAGPA in contemporary terms). But on the other side, Spiegelman’s father had led idealistic communists in burning down small factories, self-defeating actions if there ever were. Neither I nor, I think, Appelfeld are making equivalencies here between communist organizers and Nazi death camp sadists. One group wanted to bring out the best in humanity, though it failed, and the other, as with their contemporary American mimics, arrogantly drew out the worst. But it is terribly important to understand the three thousand year old mythological foundations of this desire to remake the world – often against its will – that begins in monotheism and reaches its nadir not among those competing ideologies but in America. Because a monotheistic psychology must be dedicated to unity, its psychopathology is intolerance of difference…we are each…like it or not, children of the Biblical God. It is a fact, the essential American fact…We are all psychologically Christian. And a world that constantly threatens to undo our sense of who we are without offering us living myths and rituals forces us to cling all the more desperately to our outmoded identities and religions, as both the old Nazis and the old communists reveal to Spiegelman (we don’t learn his last name until quite late in the book), or in a mirror-reversal, to replace them with addiction to “spirits.” I try to make sense of this mystery in another essay here. How do we redeem the world? By proudly slaughtering the Others? By collecting old books to remember those who were slaughtered? By organizing the workers of the world and overthrowing the bosses? How? To redeem means “to buy back.” How do we buy back? What do we buy back? How do we gather the money or goods to do that? What are we willing to let go of in order to make that transaction? Perhaps by paying attention. Nachtigall: Nightingale. The Ukranian Nachtigall battalion perpetrated war crimes during the invasion of the Soviet Union.